A well-stocked coffee outlet at Walthamstow refurbished former magistrates’ court. Here you'll be able to get your hands on all their blends (from Mexico, Brazil, Nacaragua…) to take away, either in a steaming cuppa or in a bag to brew at home. Sandwiches and snacks are also available to enjoy alongside your caffeine fix. 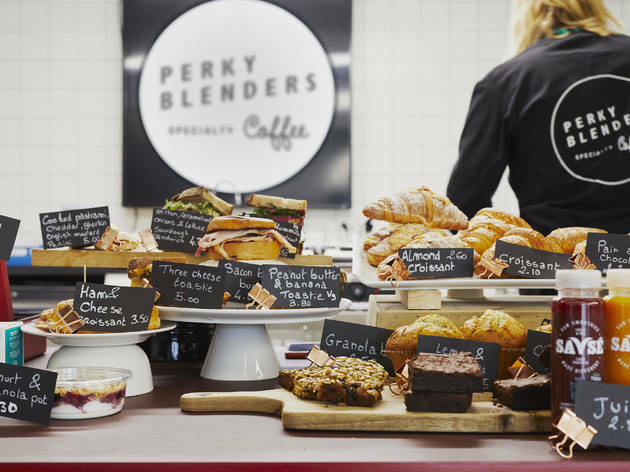 Great coffee roasted and blended by Perky Blenders themselves. After my first cup I was addicted - I had to sign up for the subscription and get this great coffee delivered to my door each month. Definitely 6 stars out of 5! A fantastic variety of different coffee blends which come with a very personal service. Great company. Great coffee made with passion and knowledge. Owned by a lovely bunch of local people, delicious coffee and the best service! Much recommended. Delicious coffee and friendly guys! Great locally blended coffee, expertly made by Tom and the team! 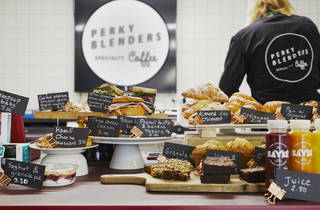 Perky Blenders is amazing, their coffee is so so good.. I love their customer service and always make sure they go the extra mile for their customers. Delicious coffee, stylish packaging and friendly baristas! Amazing coffee, great positive customer service, passion, fashion & style! I have enjoyed their freshly roasted blends so very satisfying, whether to provide a calming moment or a boost for the day. Good luck! Friendly chat on the way to the tube with a great coffee to boot. We also get a coffee subscription delivered from these folks; always a winner. This is everything a local coffee shop should be; top coffee, friendly staff, comfortable surroundings, a great independent. Great coffee and they deliver it to your house same day! Great staff, genius startup, the most gorgeous coffee and I always leave smiling having had my morning brightened! amazing local community company with amazing coffee!! This is the best coffee I've ever tasted, and it tastes equally good with almond milk, which is a true test for me! The best coffee I have ever had by far, I am a bit of a coffee addict and this is the best place to get my fix. Great coffee, great people, great service and great delivery! Good luck guys! Amazing coffee and such a friendly service! Really friendly staff and great cappucino. Good atmosphere and excellent coffee. Great coffee, great setting and great people!! Amazing service really nice staff and great coffee! Great friendly service and good coffee too! Best coffee & great people!! I'll always go out of my way to track down these guys. Their coffee is delicious and service is always personal and with a smile! Love this brand, unbelievable service, delish! Their coffee blew my mind! You think you know good coffee, then you try Perky Blenders and you realise you've been on the wrong path. Great service, great talks and great coffee. Thanks guys! Hope to see you again soon ! Honestly, the best coffee I've ever tasted, ever. Great Coffee, lovely people, fab idea. Go Perky Blenders! 5* service! Quality products and the owners care about exceptional customer service! What's not to like? !